Breast cancer is considered the most manageable and survivable form of cancer. The 5-year relative survival rate for women with stage 0 or stage 1 breast cancer is close to 100%. Despite that, the survival rate for breast cancer patients in India remains low at around 50%-66%, primarily due to late detection. We are still very far from where we could be with sharper focus on preventive screening. 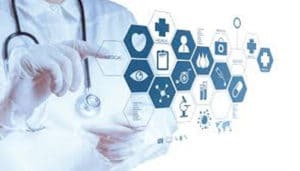 The awareness programs are now being supplemented with technological advancements like use of Artificial Intelligence and Machine Learning that is poised to accelerate the pace of innovation in the field of affordable, yet high quality diagnosis. Unique screening experience: Niramai breast screening test is radiation free, non-contact, painless and is completely privacy-aware. During the test, no one touches, compresses, or even sees the women being screened. Age-agnostic: Breast cancer incidences among young women are on a rise and traditional methods remain ill-suited for preventive screening for young women. Niramai test works on women of all age groups, not just above 45 years of age. The lesser known fact is that breast cancer can also happen to men, and Niramai test is also suitable for screening men. Safe: This test is completely safe and can be taken as often as needed without any side effects. Affordable: This test uses off-the-shelf thermal sensors. Since the capex for that equipment is less than one tenth of mammography, it makes the solution more affordable and accessible. Accurate: Niramai test has shown good accuracy of detecting breast abnormality in women of all age groups. The core of their solution is an Artificial Intelligence based computer aided diagnostic engine that powers these benefits. Niramai has developed a novel patented technique called Thermalytix™ which is a fusion of machine learning and advanced thermal imaging. Thermography is a radiation free imaging methodology which has the ability to detect malignancy at an early stage. However, interpreting thermal images is a huge cognitive overload as even an expert thermologist needs to visually perceive the thermal variations in 400,000 temperature points on the chest. This leads to errors in manual interpretation. Niramais computer vision based data analysis algorithms look for a combination of over hundred abnormal thermal distribution patterns that indicate suspicious tumors. The computer generated diagnostic report therefore gives an objective, repeatable assessment of breast health.